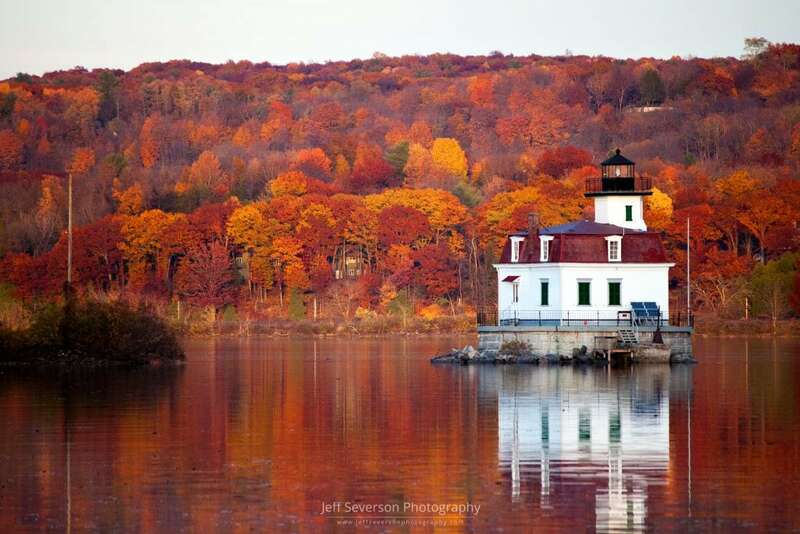 The Esopus Lighthouse, sometimes referred to as the Esopus Light or Middle Hudson River Light, and also nicknamed the “Maid of the Meadows”, is located on the Hudson River near Ulster Park, NY. This lighthouse, the second at this location, was completed in 1871. It is the last wooden lighthouse on the Hudson River. This photograph was taken in the evening on November 2, 2015 from Scenic Hudson’s Esopus Meadows Preserve in Ulster Park, NY. It has come to be one of my most favorite, as well as most popular, photos. It is also my first published work. “Esopus Lighthouse in Late Fall” appeared in the December 5th, 2015 print edition of the Times Herald-Record.